Today I am writing the chapter on a major event on my life. On May 1, 1993, the president was assassinated by a suicide bomber in Colombo during the May Day rally. 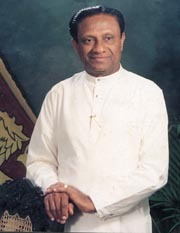 In my opinion he was the best president Sri Lanka ever had. He fought hard for human rights .